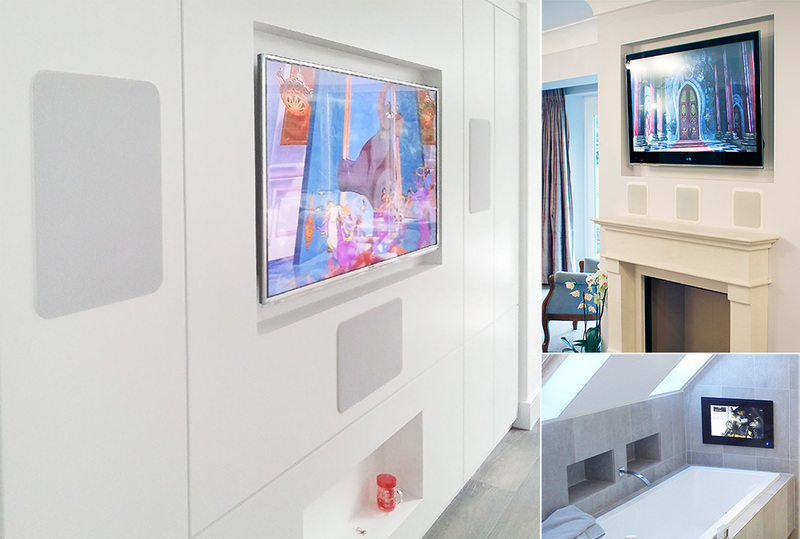 Installations | Richer Sounds - The UK's Hi-Fi, Home Cinema & TV Specialists! We will happily come to you! At Richer Sounds, we’re passionate about making sure you get the most from your music and movies. To deliver a more bespoke service, our experienced sales advisors are available to visit your home or place of work to talk through and assess your needs, recommending the most suitable equipment for you, your space and your budget. From simply mounting your TV to the wall to multiroom systems or a dedicated home cinema, we can help you select the right equipment perfectly tailored to your needs at the best prices - guaranteed. Our experienced sales advisors will advise as to the best TV for you, taking into account viewing angles and the size of your room, and the types of movies and shows you watch. We’ll advise as to the best location within the room, so that unsightly cables can be hidden or chased into walls. Our experienced sales advisors can suggest innovative products designed to deliver dazzling sound and picture quality from discreet, living room friendly equipment, such as in-wall and in-ceiling speakers and projectors. We can help you install it, too! 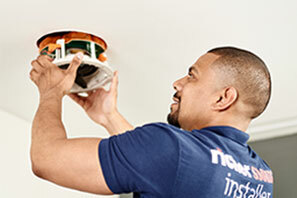 We have our network of Approved Installers to ensure your equipment is professionally and safely commissioned. We can visit your home or place of work to thoroughly check on the set-up of your new equipment, tweak as necessary, and answer any questions you may have, whenever suits you, for just £99.95! 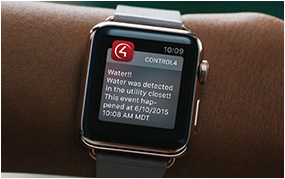 The future of home automation today! It’s a smarter living experience that you’ll wonder how you ever lived without. It's 7:00 a.m. Your favourite streaming music station kicks in over the bedroom speakers and the lights gradually brighten. The thermostat adjusts to 70° while the shades slowly rise. Welcome to your “Good Morning” scene. Experience movie night like never before. Distribute bold 4K video throughout the home. Enjoy beautiful, intuitive media browsing. And with just one button press, start the movie, light the fire and dim the lights. Couching down has never been so easy or comfortable. Control4 is now available to demo in many of our stores. Pop in to experience it for your yourself, or call and ask for more details. Our in-store team work closely with Approved Installers so whatever project you are considering you can be assured we can deliver it. 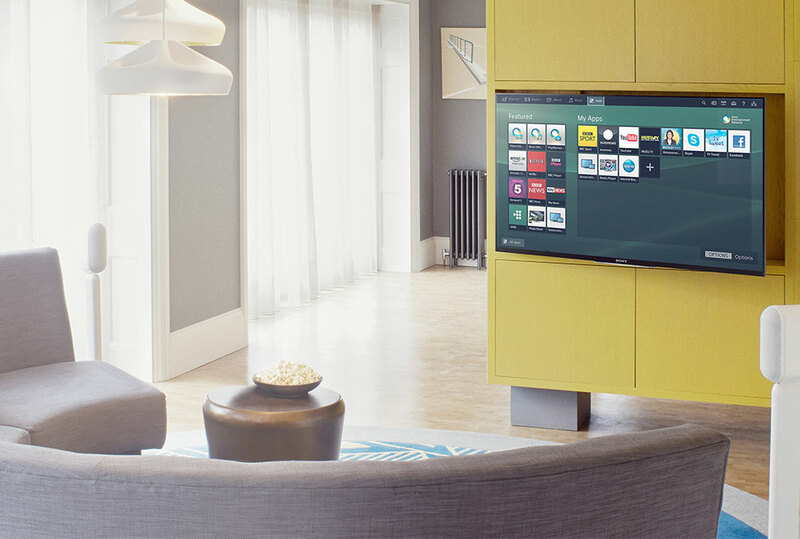 This could be setting up a new TV so that it looks and sounds its best, concealing wires in walls, effortlessly streaming music around the home or even project-managing and building a home theatre for you. 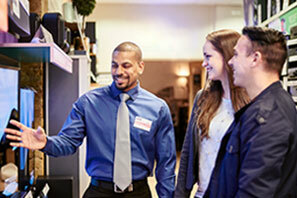 Our team isn’t just there for the big ideas or high-end systems, they are there for everyone. Tell us your idea, or the problem you’d like solving, and we’ll come up with the solution. It’s all part of our service. 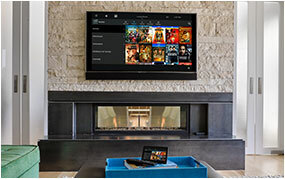 "Me and DIY don't get on, so I found the idea of wall mounting my TV very daunting. The installer from the Romford store was friendly and explained everything really well. I liked the fact that he helped me choose the TV in store and came to fit it himself. When he arrived at my home he was very cheerful and efficient and cleaned up after himself. I've had bad experiences with other retailers in the past and this was a breath of fresh air. Thank you Richer Sounds!" "Richer Sounds, Plymouth recently installed a multi-room Sonos music system with Monitor Audio ceiling speakers in our house. We're very pleased at the final result; with the timely installation undertaken, and the pre and aftersales service provided by Richer Sounds. The installers who dealt with us were fantastic - both were exemplary in their dealings with us. They've been a great source of knowledge, either in person or via the phone." "I dealt with a chap from your Leicester branch called Tim. I asked him hundreds of questions on which he gave me knowledgeable, realistic answers. The installation was carried out swiftly, on time and to a high standard. It was an absolute pleasure to work with Tim and his colleagues." Let us show you how an expert audio-visual installation will add pizazz to a boardroom or enhance the ambiance of your customer areas. We can provide solutions for a wide range of commercial spaces. Add the wow factor for your clients or help boost the value of your properties. We can deliver an amazing luxury audio-visual experience for your buyers.